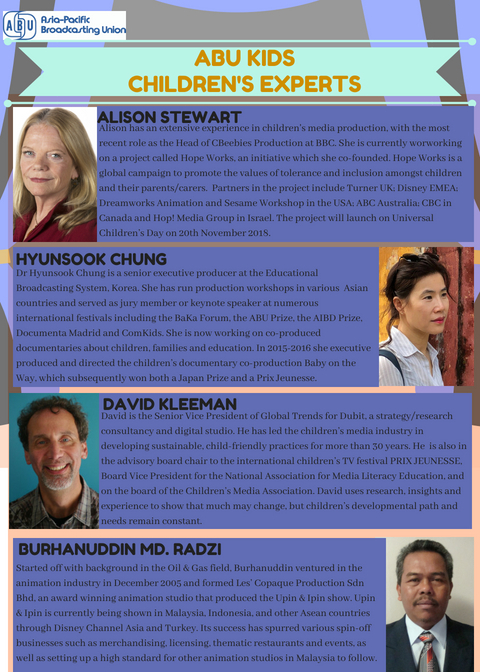 We are happy to invite you to join us at the new Initiative ABU KIDS 2018, which is a rebrand of former ABU Children TV Item Exchange and Meeting. Unlike its predecessor, we aim to make ABU KIDS more inclusive by having programme makers from various platforms in this event. For any enquiries, please don't hesitate to contact Ms Nisa Ahmad at nisa@abu.org.my .